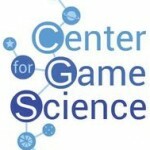 It has been a busy summer here at the Center for Game Science. Let’s take a look at some of our latest happenings! First of all, we’re pleased to note that the Seattle Public Library system’s Summer of Learning is going well. All of our BlockStudio and Dragon Architect workshops have been filled, and with healthy waiting lists. If you want to take a peek at a number of the creations being made, head on over to our special Summer Learning page and check out the galleries – we just added Dragon Architect‘s gallery today! Speaking of the Summer of Learning, did you know that Nanocrafter is also a part of the teen offerings this year? Best of all, the Seattle Public Library is offering all of these resources for free! There’s still some summer left to take advantage of the fun, and we encourage anyone local to the library system to do so. The new Verigames newsletter is out today, featuring a bunch of community efforts, a spotlight on the new BBC article that came out recently, and a link to the archive of our Paradox chat. To follow all the Paradox news, feel free to join our Twitter and Facebook pages! Made by the same team that worked on Flow Jam, Paradox is a fresh approach to the now familiar problem of software verification, so if that’s your thing, feel free to check it out. Finally, in Foldit news, we’re gearing up to bring community-driven broadcasting through Twitch in the near future, so we can share the vast range of protein folding knowledge the community has gained over the years with a much larger audience than ever before. Our new effort – dubbed “FolditTV” will be releasing it’s first schedule very soon. Our Marburg efforts are also continuing this summer with new puzzles and discussion, and you can follow along (and join in) via the Foldit site, or our social media outlets. Did you know that this is the National Week of Making? The President has put out a call to action to create a “Nation of Makers”, and with our creative tools available from the Center for Game Science, we couldn’t resist the opportunity to let you know how easy this is. 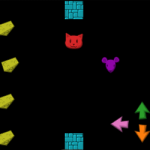 Creating something fun in Nanocrafter, BlockStudio, or Dragon Architect! Upload a screenshot of your efforts to our Facebook page, or share on Twitter with #NationOfMakers and @UWGameScience! It couldn’t be easier to get started today. Happy creating! 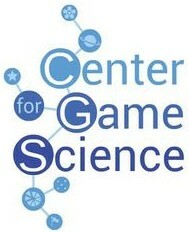 It’s the start of summer and the CSE students have been hard at work creating new titles for their capstone projects. Check them out on Kongregate, and see the entire collection here. Not a part of the Capstone projects, but also important – the arrival of BlockStudio in our games section. Give it a try today!